Thank you for reading Creative Family Fun! I’m very happy to have you here and hope you stick around. But first, I’d like to tell you a little bit about Creative Family Fun and why I created this blog. At Creative Family Fun, you’ll find activities for kids of all ages. 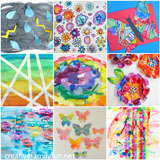 I’ve got craft tutorials, learning activities, recipes, outdoor activities, family fun ideas, and so many more. I’m not an educator and I do not have a degree in early childhood. But, I am a mom. I’m a mom with a passion for ideas and a passion to help other families find creative ways to spend time together. Maybe you’re looking for some one-on-one time ideas or you’re ready for a family adventure. 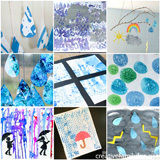 You might be looking for a way to supplement your child’s schoolwork or just an idea for a rainy day. You can find it all here. My goal is help YOU spend more intentional time with your family. 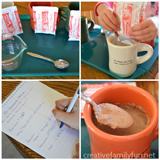 Any activity you find on this blog can be a family adventure. How? It’s easy. Pick one. Find some time. Gather the materials. Start spending time together. Easy peasy. 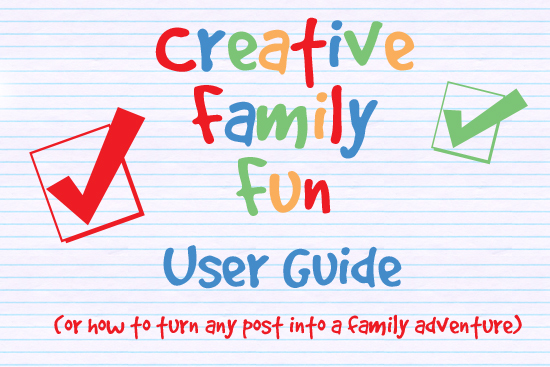 I’m even planning on making this even easier for you by adding a Family Adventure Guide to the bottom of many posts. I’ll break it down so you can see right away what the cost, recommended ages, planning time, and time needed for the activity are. Is it a sunny day? Are you looking for some fun? Do you want to sneak in a bit of learning on your weekend? 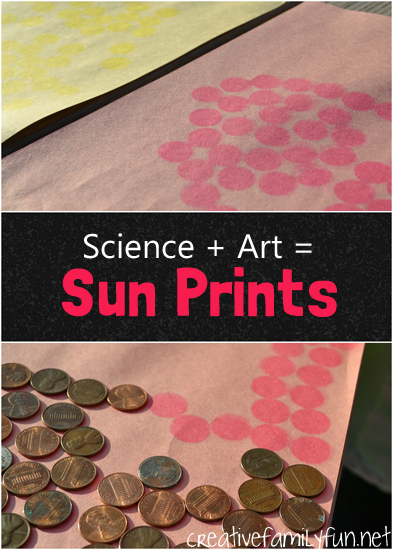 Make sun prints together. Click the picture below to find instructions and to take a peek at a Family Adventure Guide. Or, maybe you’re just looking for a simple activity to do after dinner. 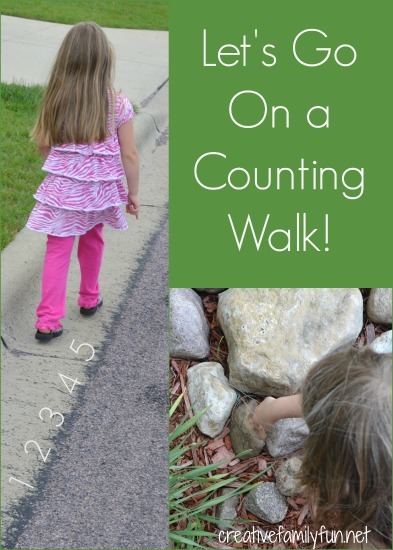 Try a counting walk. You don’t even need to plan ahead for this one! Click the picture for details. 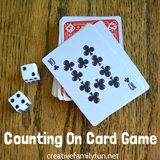 I hope you plan on sticking around and find many fun ideas to do with your family. If you’d like a weekly summary of my blog posts as well as links and practical ways to spend time with the family, please consider subscribing to my newsletter. 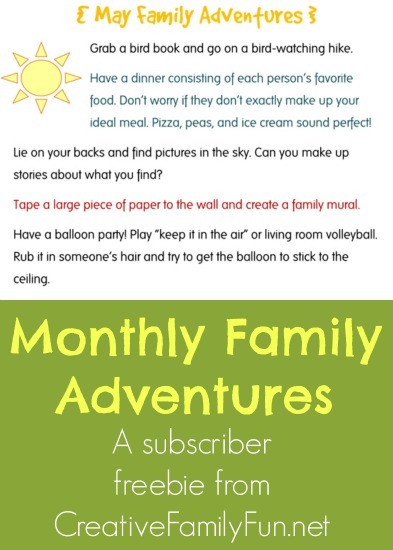 Click the picture below to go to the sign-up form and learn more about the printable family adventure sheet you’ll get for free each month with your newsletter subscription. Thank you and come back soon!